the keepers of magic and dreams. Wherever there is love, an angel is flying by. and loves you just the way you are. Angels keep it simple and always travel light. so the angels have room to play. when you feel there is no place to go. a special angel drops in for tea. and help you soar with amazing grace. 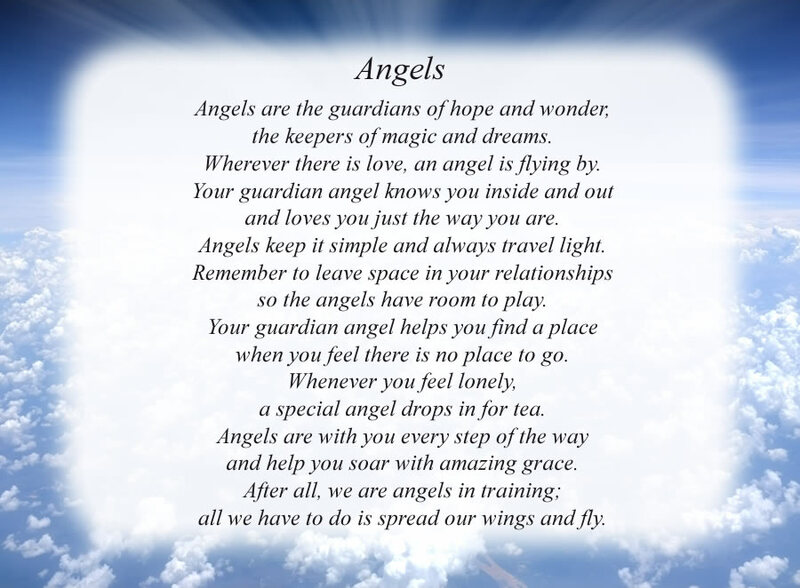 The poem, Angels, is free and printable by opening or downloading using one of the three links below.